In 2004, a petition against the construction of the Chalillo Dam in Belize was presented to the Inter-American Commission on Human Rights (IACHR) on behalf of the Maya people and those living downstream of the dam by The Belize Institute of Environmental Law and Policy (BELPO). Since that time the dam has been built; but now the IACHR has declared that the petition has validity. In such cases we might ask if it acceptable that the IACHR should take eleven years to reach a decision regarding the validity of petitions. We include below the press statement recently released by BELPO. 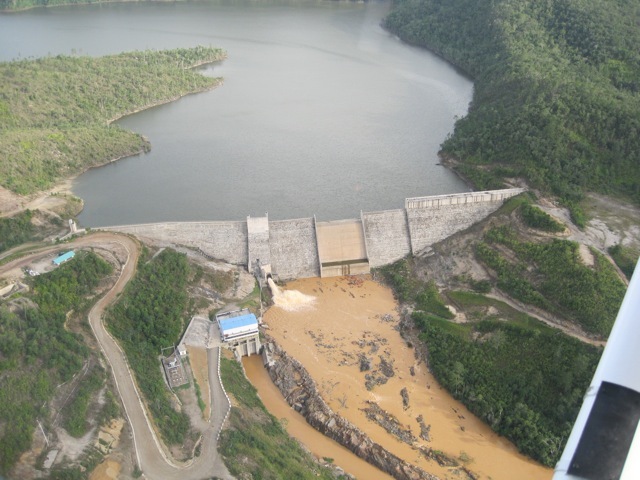 In an important decision, the Inter-American Commission on Human Rights (IACHR) has opened a case against the Government of Belize (GOB) regarding the controversial Chalillo Dam built on Belize’s Macal River in 2005. The decision is in response to a petition from The Belize Institute of Environmental Law and Policy (BELPO) filed in 2004 on behalf of the Maya People and those living downstream of the dams who say their rights − including their rights to life, liberty and personal security, religious freedom, benefits of culture, legal rights and the right to work − have been violated. In their brief to the Commission, BELPO documents show how the riverine populations have been harmed: water quality has been so degraded that people can no longer bathe in or drink the water; fish have been poisoned by mercury leaving citizens without their vital source of protein; more than 300 Mayan archaeological sites have been lost under the reservoir eliminating a large body of knowledge to the Maya; changes to river flows and sediment deposition have destroyed farms and ecotourism businesses along the river and unemployment has risen. Also, BELPO says the Government of Belize has, in defiance of its own institutions and legislation, refused to abide by the Orders of the Belize Supreme Court to enforce the Environmental Compliance Plan (ECP) for Chalillo, which is a contract between the Government and the owner of the dam to take measures to mitigate the damages caused by the dam. The GOB has also failed to inform the people on the quality of the Macal River water, to disclose mercury levels in fish to the public on a timely basis and to provide a viable warning system to alert downstream populations of dam breaks including the failure to disclose that the dam is built in a seismically active area. IACHR’s decision to admit our petition is recognition of the severity of the harms to health, safety and property rights, as well as indigenous rights by the destruction of over 300 major Mayan archaeological sites as well as recognition that the people have a right to know the extent and nature of the harm inflicted upon them by contracts made in their name with corporations. The opening of the case is, above all, a victory for the affected communities, the Maya people of Belize and local social movements, who have endured for all these years, and remain strong and determined in their search for justice and compensation. As an organization representing the victims of the Chalillo Dam, BELPO remains committed to exposing the human rights violations directly caused by the dam’s construction. BELPO acknowledges the integral role played by the Environmental Law Alliance (ELAW), the International Rivers Network (including a valiant fighter for the people, Berta Cáceres assassinated in Honduras earlier this year) and Probe International of Canada in the struggle to get these abuses into this international body.